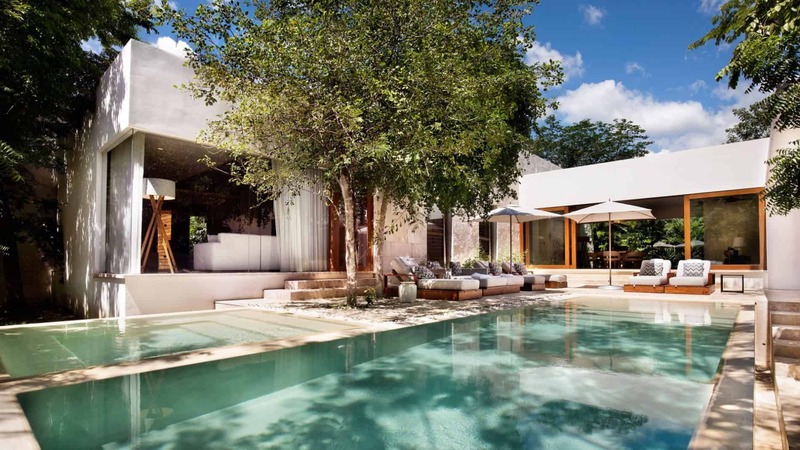 The Chablé Resort Presidential Villais nestled in the Yucatan Peninsula, Mexico in the Maya Jungle. The perfect epitome of comfort and elegance, it has magical surroundings as it runs alongside a cenote flowing with natural spring water. An old hacienda houses this gem of architecture that was restored by experts to maintain the buildings’ innate integrity as evidenced by old church bells and arched gateways of the original structures. Lush green gardens submerge the stylish sanctuary that melds a stunning setting with impeccable taste. This makes the villa the perfect place for rejuvenation, comfort, and peace. Dubbed as one of the best luxury resorts in the Yucatan Peninsula, the villa of 8,000 square feet gives a whole new meaning to refined elegance, with three ensuite bedrooms waiting for guests. Paulina Moran,the award-winning interior designer, has developed a symphony of new and old in this one-of-a-kind extravagant accommodation. Thanks to her artistic eye and unwavering attention to even the smallest details, Paulina came up with an interior that blends modern design and colonial roots. Combined with the exterior’s graceful antique arches, the interior is a sweet surprise of crisp contemporary designs. 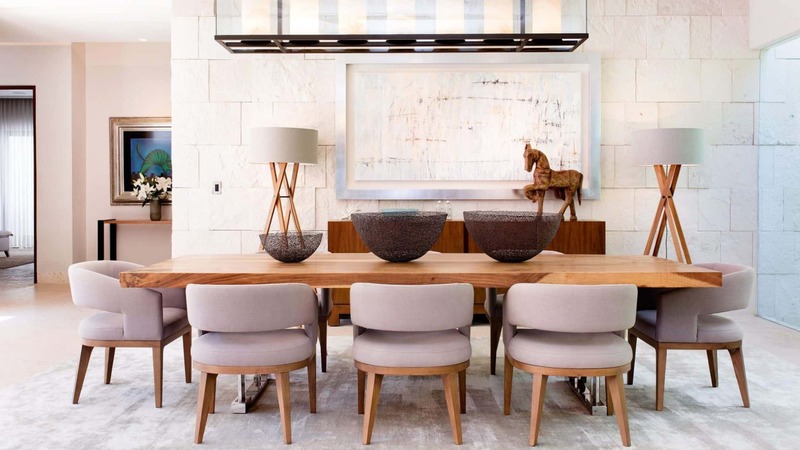 Its furnishings boast of mid-century modern, with the soft textures complementing clean and crisp lines. The Presidential Villa also deftly features massive glass walls and windows to form a seamless connection between the exterior and interior spaces that creates a villa with a lush jungle. With enough space to explore and discover, the Chablé Resort Presidential Villa features three airy bedrooms, each having its own luxurious private bathroom. Its master suite is roomy and bright but cozy and comfortable at the same time. There is a large outdoor shower in the bathroom as well as a glass-walled freestanding bathtub that will make you feel as if you are bathing amidst a jungle. The extra two suites are also equally stunning, with enough space for a family of four with two kids, featuring double queen beds. To boost your level of comfort, the suites also have air conditioning, satellite TV, walk-in closets, and private decks ideal for those days and nights when you simply want to sip a glass of your favorite drink in complete seclusion and serenity. The upscale villa with its lovely gardens is perfectly maintained. There is also a Jacuzzi, private pool, sun beds, and dining and living areas alike. A very much welcomed addition to the luxury and setting of this vacation villa in the Yucatan Peninsula is the exceptional service from the staff of Chablé Resort. They will meet and even exceed all your expectations at every turn, making you feel as if the property is exclusively yours. Their positive energy will be felt from the moment you step inside the doors of the villa and they will tend to all your wishes. There is also a spa where a massage therapist will use healing hands to rejuvenate and restore you within the comforts of a mystical setting. Their chef will also make you feel like you are on top of the world as you get to choose from the beautifully plated local meals that you can enjoy under the moonlight as fire flies light up the lawn. Relaxation, jaw-dropping style, and seclusion never fail to draw guests to this extraordinary Chablé Resort Presidential Villa.